When I wrote about Rachel Eliza Griffiths back in March 2010, the post focused on her skills as a photographer who’s credited for a number of author photos that appear on the backs of several poetry collections. And after publishing two of her own—Miracle Arrhythmia (Willow Books, 2010), a Small Press Distribution best-seller, and The Required Distance (The Sheep Meadow Press, 2011)—I’m excited about her third collection Mule & Pear (New Issues Poetry & Prose), which is available for pre-order on AMAZON and due out this September. And Rachel mixes the mediums by providing a book trailer for Mule & Pear, which I will review for a later blog post. The trailer’s gotten Southern Illinois University-Edwardsville’s (SIUE) attention. “The book trailer includes images of black women, Nina Simone’s song ‘Feeling Good’ as the soundtrack, and short excerpts of writings, presumably poems by Griffith,” according to the SIUE Black Study Blog, an online platform where Black studies, technology and active citizenship come together in an exchange of ideas among African-American academics. Rachel’s attire consists of many hats she wears as a poet, writer, photographer, and painter. Her literary and visual work has been widely published in journals, magazines, anthologies, and periodicals including Callaloo, The New York Times, Crab Orchard Review, Mosaic, RATTLE, Puerto Del Sol, Brilliant Corners, Indiana Review, Lumina, Ecotone, The Acentos Review, PMS: poem memoir story, Saranac Review, Torch, The Drunken Boat, Black Nature: Four Centuries of African American Nature Poetry, Inkwell, Black Arts Quarterly, African American Review, Comstock Review, Hambone, and many others. Part of establishing herself was the “Ars Poetica, Photographs by Rachel Eliza Rachel,” an ongoing documentary on African-American poets, that opened in Brooklyn’s DUMBO community that month. I wrote an advance story on the exhibit in my March 2010 post. Ever since I’ve known her, I’ve always been impressed by her talent and low-key demeanor. We met each other in 2007 at the 14th and V streets Busboys and Poets. I’ll never forget her kind and warm presence. She loves hugs, is always encouraging her friends to be their best selves, and is genuinely happy for the accomplishments of others. She’s not one to boast about her own accomplishments. When Rachel and I reunited during my second time at Cave Canem (CC), I didn’t know my CC sister was working on the “Arts Poetica” exhibit, or that she had three collections of poems and a novel done—all of which were manuscripts at the time. Knowing Rachel, she wouldn’t have told me about her credentials and accomplishments. Or that she received the MA in English Literature from the University of Delaware and the MFA in Creative Writing from Sarah Lawrence College. I had to do some digging to find out she also received fellowships including Provincetown Fine Arts Work Center, Vermont Studio Center, New York State Summer Writers Institute, Soul Mountain, and others. “And others”? You mean there’s more? Yeah, Rachel has definitely been busy—and she’s got a trailer, too! 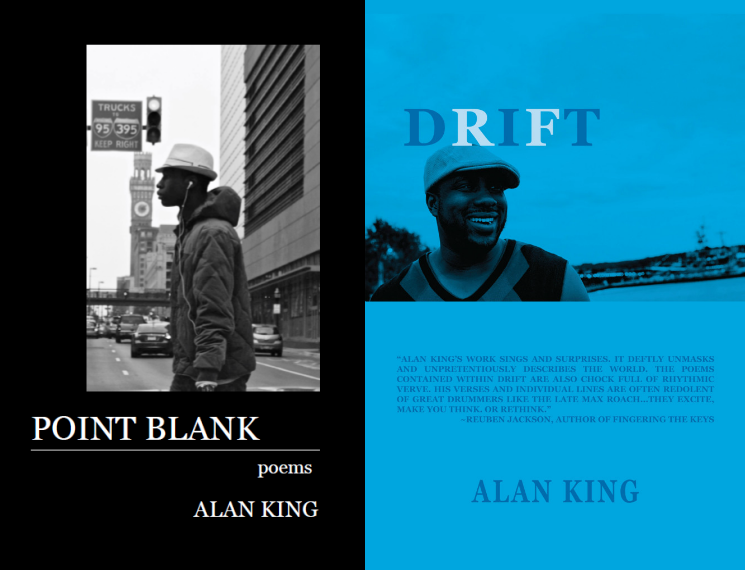 “I’m excited about the implications of a book trailer focusing on a volume of African American poetry,” the SIUE blog stated. “The release of this video further solidifies her reputation as poet and visual artist.” There, you have it. Check out the trailer, then preorder your copy of Mule & Pear! Posted in Article.Tagged 2011, all post, art, articles, Blog, books, Culture, education, English, fiction, history, inspiration, Life, miscellaneous, news, Poems, poetry, Rachel Eliza Griffiths, Reflections, review, Technology, Thoughts, writing. Great article Alan. Keep up the great work.